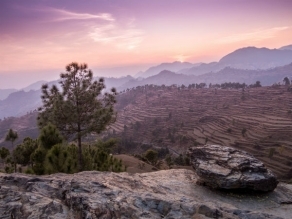 Almora, perched on a horse saddle-shaped ridge is a popular hill station of the Kumaon region. 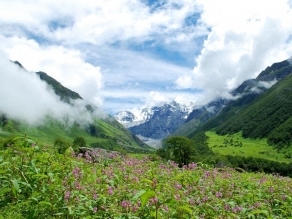 The 5 km long ridge is located between the river Suyal and the river Kosi. The hill town, located at an elevation of 1651 m above sea level, is surrounded by beautiful green forests. The Chand Dynasty and the Katyur Dynasty ruled this place during the 15th and the 16th centuries. 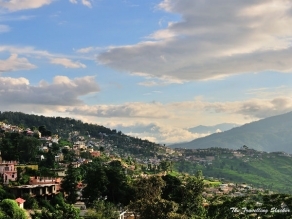 Travellers can enjoy the panoramic view of the snow-capped peaks of the mighty Himalayas from the hills of Almora. 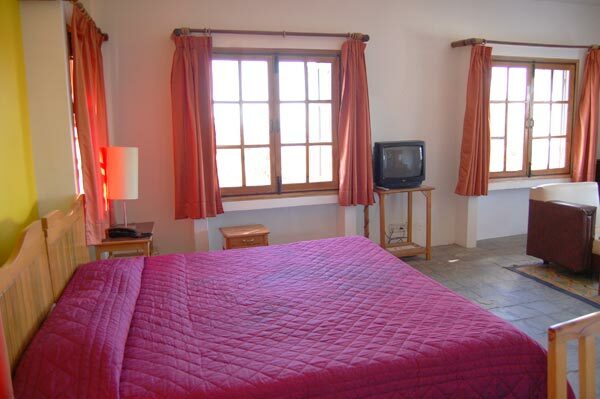 The place has various attractions that attract tourists from all across the globe every year. The Kasar Devi Temple, the Nanda Devi Temple, the Chitai Temple and the Katarmal Sun Temple are some of the popular religious centres located here. The Nanda Devi Temple is an ancient shrine built in the Kumaoni architectural style. This temple is devoted to the patron Goddess of the Chand Dynasty and is thronged by devotees every year. Another well known shrine here is the Kasar Devi Temple situated 5 km away from Almora. The shrine was constructed during the 2nd century, and it is believed that Swami Vivekananda performed penance here. Visitors can enjoy the beautiful views of sunrise and sunset from the Bright End Corner. Simtola and Martola are ideal for picnickers. The Deer Park located at a distance of around 3 km from the town of Almora is also quite popular among visitors. The park is home to animals like deer, leopard and the Himalayan black bears. Some other popular tourist attractions of the place include Gobind Ballabh Pant Public Museum and the Binsar Wildlife sanctuary. Trekking and Mountain Biking are popular activities among visitors here. Travellers can easily reach the destination by air, rail and road. The Pantnagar Airport and the Kathgodam Railway Station are the nearest airbase and railhead to Almora, respectively. The best time to explore this beautiful destination is the summer season as the climate remains favourable during this time. Several luxury buses are available from Delhi to Almora. The distance between the two places is about 350km. State owned buses are also available for the destination from major nearby places. The Kathgodam Railway Station, located at a distance of 75km is the nearest railhead to Almora. The railway station is well connected to major cities of the country by frequent trains. The nearest air base to Almora is the Pantnagar Airport, located 108km from the city centre. This airport is connected to Indira Gandhi International Airport at Delhi by regular flights. Travellers can hire taxis from the Pantnagar Airport to reach the destination. Almora To Mussoorie: An Enchanting Journey In The Hills!